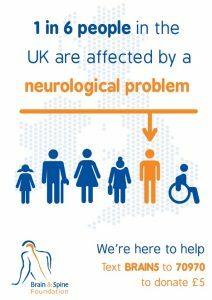 Did you know that 1 in 6 people in the UK are affected by a neurological problem? If you didn’t, you’re not alone. Surprising as it is, it also means it’s very likely that somebody close to you has a neurological condition or problem. You might know some of the affects, but a neurological problem may often result in a disability that could be hidden or invisible to others. 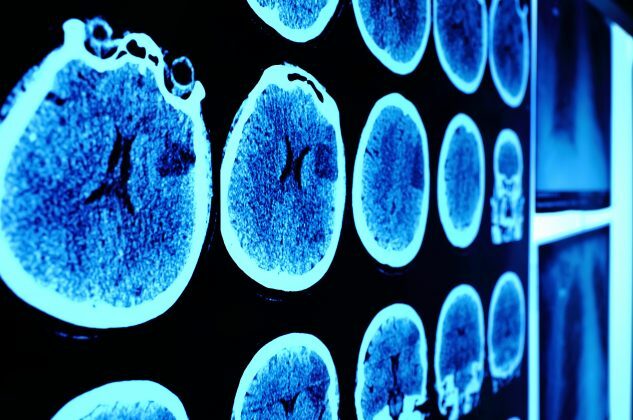 With over 470 known neurological conditions, there will be those that you may have heard of – such as Parkinson’s and dementia – but many that you probably have not. Conditions such as Chiari malformation, trigeminal neuralgia, and transverse myelitis can have a huge impact on day to day life and present countless challenges. The Brain & Spine Foundation exists to support people affected by any neurological problem, and their family, friends and carers. In 2018 they supported over 2000 people through their helpline, and there were over 500,000 sessions on their website. For many of those affected, their services provide the only additional information and support outside of their meetings with healthcare professionals. Every March, Brain Awareness Week unites organisations from around the world to help people learn and understand more about our brain, and the progress and benefits of research. This includes awareness of neurological problems, their impact, and the support and care that some people need. This year’s Brain Awareness Week runs until Sunday 17 March 2019. We’d like everyone to get involved in helping to raise awareness and share the message with their family and friends.